Shortly after her marriage to shoemaker Thomas J. Bata, Sonja Bata developed a keen interest in understanding the shoemaking business. As the Bata Shoe Organization grew internationally, the couple travelled extensively and at each distant destination Mrs. Bata became fascinated by how traditional footwear varied from region to region and how these differences reflected a diversity of needs both cultural and physical. Everything from material use to decorative techniques intrigued her and she felt that through the study of traditional shoemaking her understanding of the world’s cultures would be enriched. However, Mrs. Bata’s desire to learn about traditional shoemaking came at a time of incredible global change which challenged the viability of traditional craftsmanship around the world. 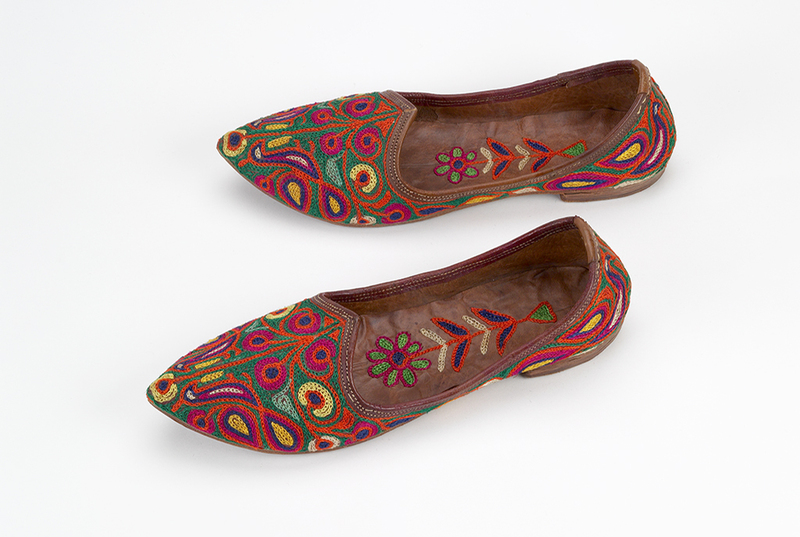 The Bata Shoe Museum Foundation was established in the effort to gather accurate and detailed information concerning traditional shoemaking. Over the years, researchers have traveled from Siberia to India documenting traditional shoemaking practices and collecting both images and artefacts for the Museum. Each of these field trips has brought a wealth of in-depth information and artefacts into the Museum thus preserving footwear-making traditions that are slowly disappearing. The voices of the makers, the images of their processes and the artefacts themselves continue to amaze us with how disparate traditional footwear is and how reflective it is of the diversity of world cultures. 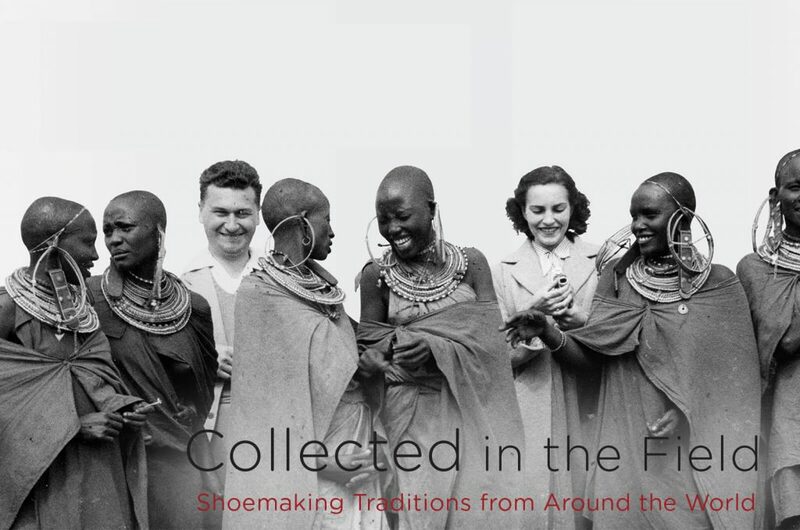 This exhibition allowed earn from the voices of the makers, see the images of their processes and amaze in the diversity of traditional footwear reflecting a variety of world cultures. Marken is a small island in The Netherlands renowned for its intricately carved wedding clogs. In times past, grooms would carve delicate designs on clogs while away at sea fishing as gifts for their betrothed. 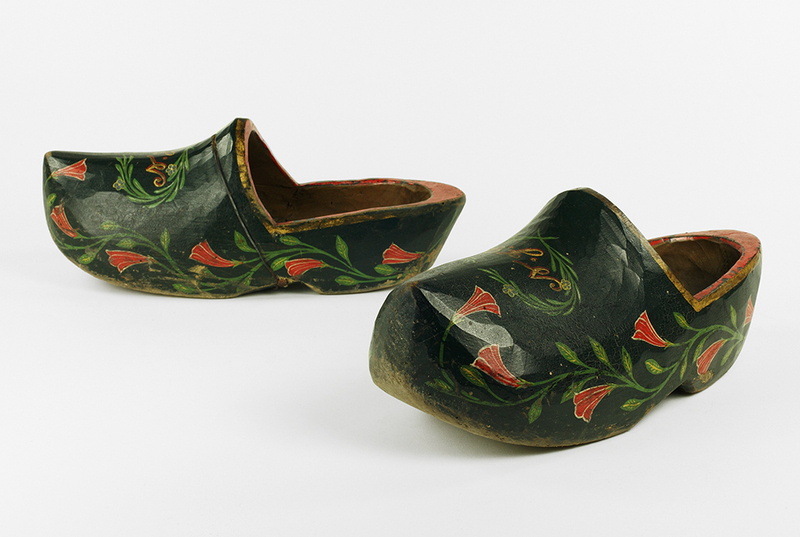 The museum holds three pairs of clogs worn by a woman in Marken in the 19th century: her decoratively painted clogs for church, her intricately carved wedding clogs and her somber clogs for funerals. This pair of juttis comes from Punjab and features lavishly embroidered uppers using an intricate chainstitch typical to the region. The heavy leather soles of these juttis are also a locus of decorative stitching. Women are traditionally responsible for doing the embroidery that decorates juttis. 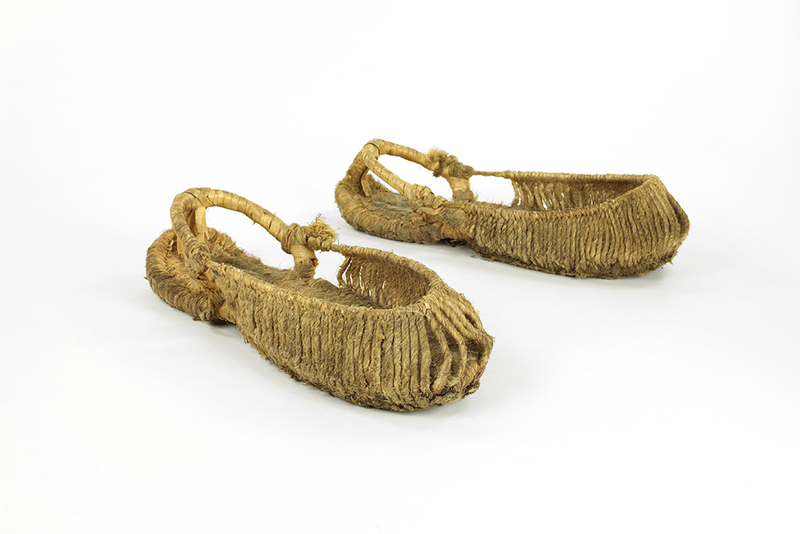 The jutti-making process was documented in a field trip that added both artefacts and information to the Museum’s rich Indian holdings and was highlighted in the book and exhibition Feet and Footwear in Indian Culture. 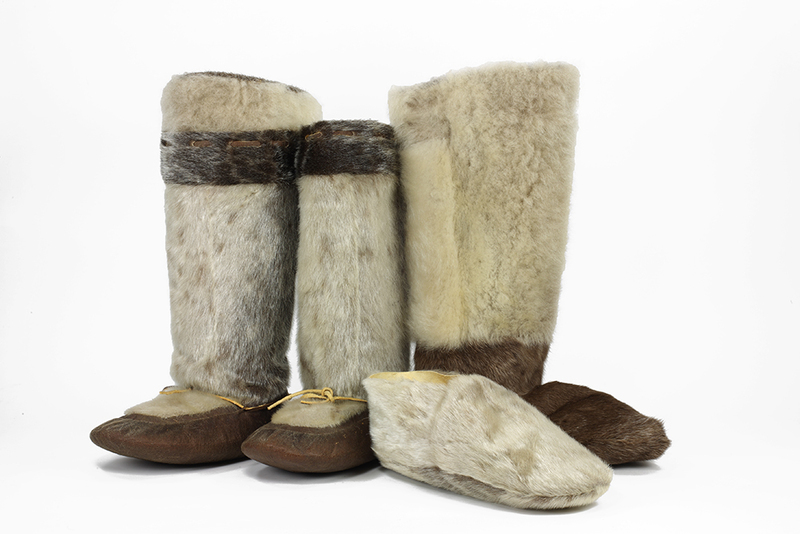 The Inuit wear from two to five layers of footwear depending on the temperature, ground conditions, and activities they perform. These four possible layers of footwear are displayed in the order in which they are put on: inner slipper, outer stocking, boot, over-slipper. 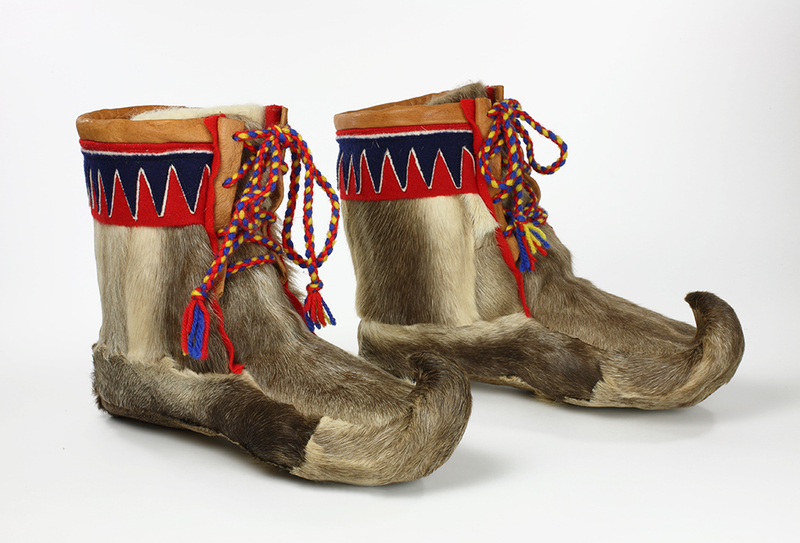 These Iglulik Inuit boots were made for The Decorated Moccasin Competition by Olepa Karpik and won Special Prize. The frigid temperatures of the circumpolar region inhabited by the Saami make suitable footwear of particular importance. This pair of reindeer skin boots, made by Kristen Losoa, is a style of boot which is worn by both men and women but Kristen Losoa made these for herself. The boots feature the upturned toes that characterize traditional Saami footwear as well as center seams down the soles of the boots so that the hair on the soles can increase traction and they are decorated with felt appliqué in a lively pattern. The final stages of making a pair of jipsin require the use of wooden forms to replicate the shape of a foot. When all of the loops have been caught, the cord is secured and the jipsin are finished. Despite the intricacy of the weaving and the care taken in the making, a pair of jipsin wears out very quickly. A traveler would typically lash a few pairs of jipsin onto his belt to ensure he had shoes for his entire journey. Traditionally Maasai sandals were cut from un-tanned cowhide - including the straps to hold the sandal to the foot. Women are responsible for preparing the hides but sandals themselves are made by both men and women. 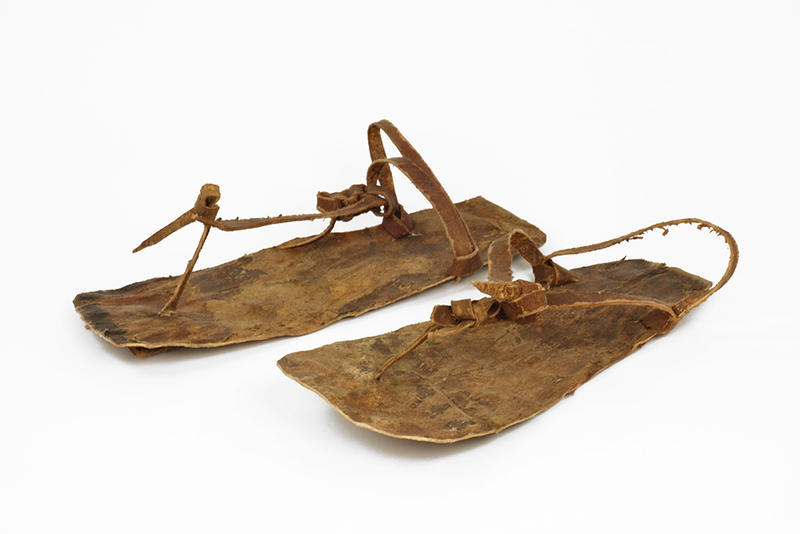 This pair of rawhide sandals was collected by Mrs. Bata near the Rift Valley in Kenya.